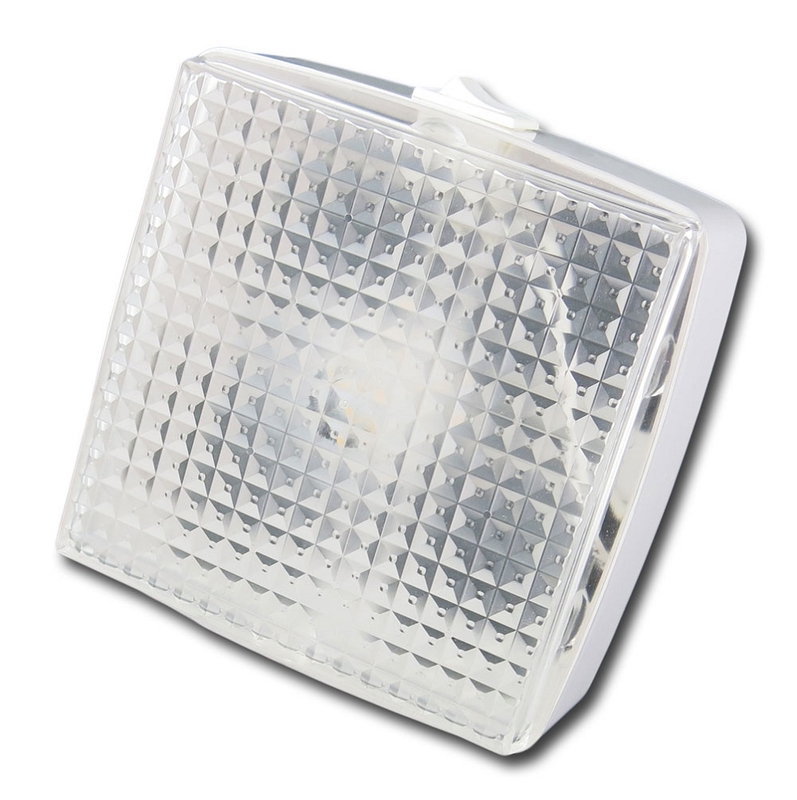 FriLight Square 8611 white plastic utility light provides compact boat lighting for any marine application. 12V Halogen/Xenon or 12-24 Volt LED bulb with patterned plastic diffusing lens. Built-in rocker switch for convenient switching. Choose from Halogen/Xenon (12 volt input) and LED bulbs. 12 volt, 10 watt Halogen bulb with Xenon additive for increased longevity. Energy efficient 12 SMD G4 LED Bulb. This LED is able to function on an input of 10-30 volts DC. 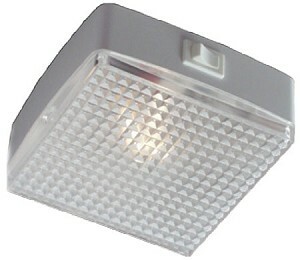 Optional 21 SMD LED and bi-color LEDs. Bi-color bulb options offer a full-brightness Warm White LED in addition to a secondary color option. 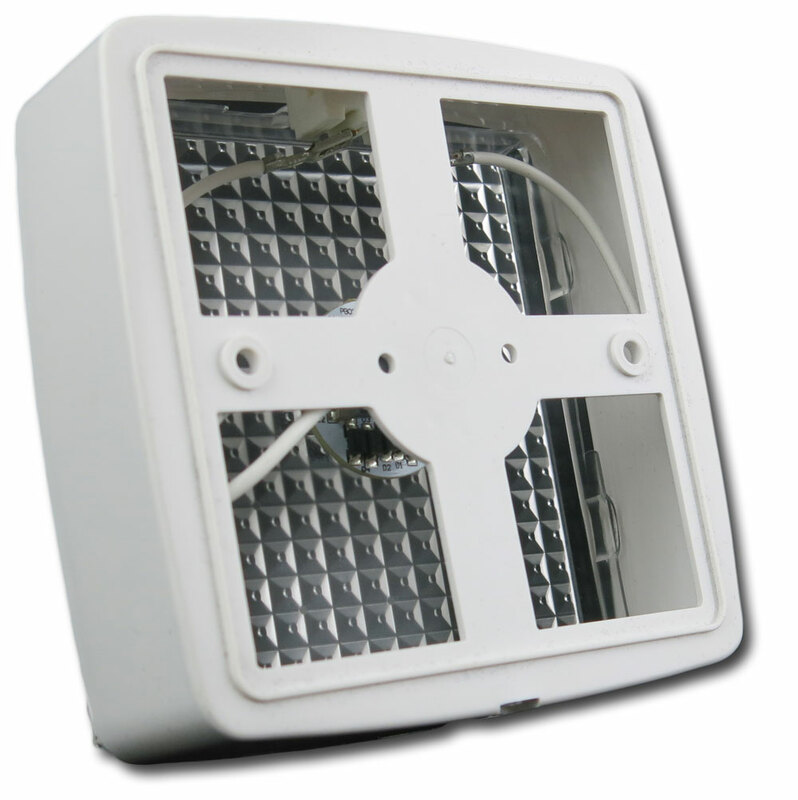 Optional Bright 21 SMD, 3.1 watt Warm White (270 Lumens) and Cool White (310 Lumens) LEDs available. Red/Warm White (160 Lumen), or Blue/Warm White (160 Lumen) LEDs.